1). MADE FROM PU LEATHER WITH CANVAS : This thin card sleeve is made from pu leather with canvas ,durable and stylish .Comfortable to use. Great slim card sleeve wallet for carrying your most frequently used cards and some bills. 2). ULTRA SLIM FRONT POCKET WALLET: The leather card holder is designed to be slim and feels amazingly soft. Sturdy enough to last a long time, its super slim figure makes it easy to slide into your front pocket. It is thin, fits perfect in your pocket and can hold at least 12 cards and some folded cash comfortably. 3). 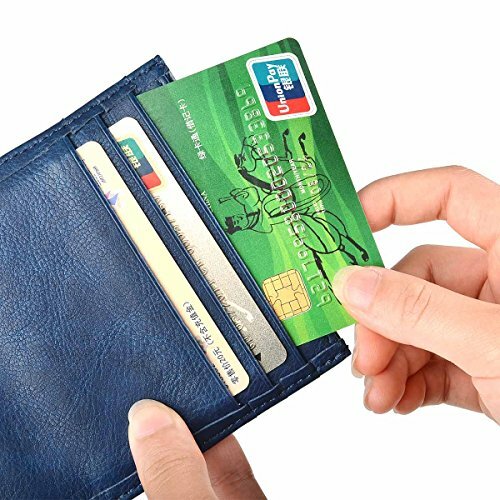 SLIM WALLET CARD HOLDER CASE MEASURES: 4.0L x 0.5D x 3.5W inches . 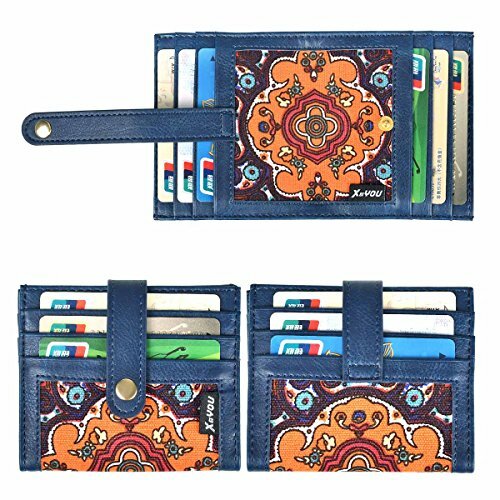 6 card slots on either size and 2 top middle compartment where you can put notes, receipts or some folded cash, giving you a bulk free pocket while feeling thin and light. 4). 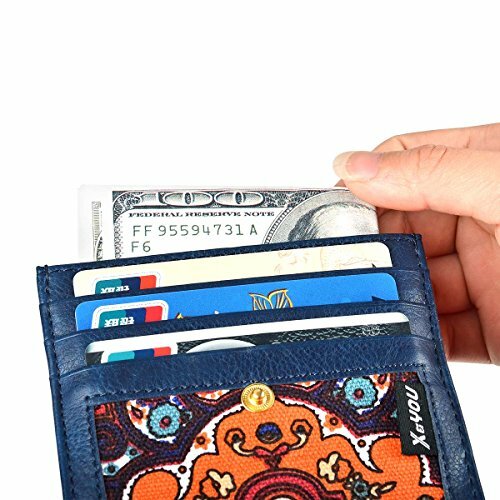 SPECIAL MINIMALIST WALLET DESIGNED - STRAP WITH SNAP BUTTON: The slim front pocket wallet is very simple and personality, it is not only lightweight, it sewing a strap with snap button to prevent cards and cash drop. 5). DAILY USE AND DRESS COLLOCATION: It is perfect for a night out tucked away almost invisibly in your pocket and it won't look like that you are bring a brick when you are bringing all the necessary. 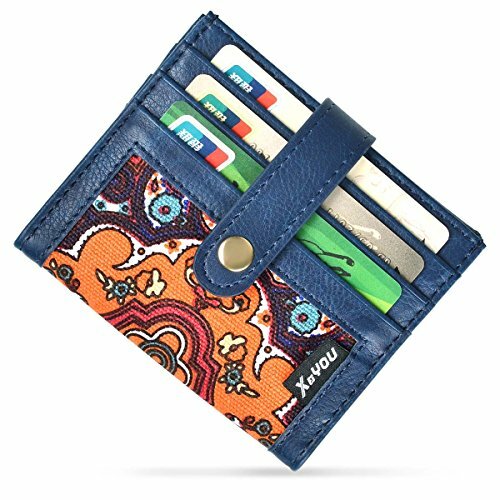 Professional for business cards or a small wallet which carry the cards you often use .Whether you wear jeans, shorts, or slacks, it fits perfectly in front or back pocket without being noticed. Ideal gift for your family members and friends. 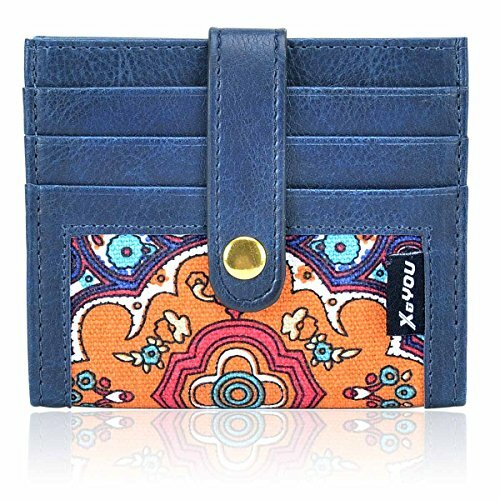 Made from pu leather with beautiful canvas, this slim style card sleeve wallet, is both stylish and good quality. LOEL wallets make bulky wallets a thing of the past. 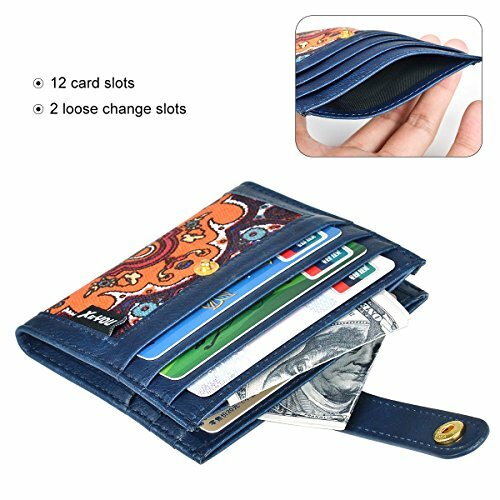 Use the convenient outside pocket for your most essential card and store up to 12 more in the internal pocket. The slim card sleeve wallet isn’t just for cards. It also is excellent for storing bills as well! Use the inner pockets or front pocket to store a few neatly folded bills. The strap makes card and cash more safety. Slim card case wallets combine minimalism, with classic style. They are best for carrying a few bills and up to 12 cards. If you have change, consider using our leather change purse.